At the moment we are spoilt for choice with places to dine in Newcastle, with new restaurants opening regularly in the newly developed Eldon Square Greys quarter. 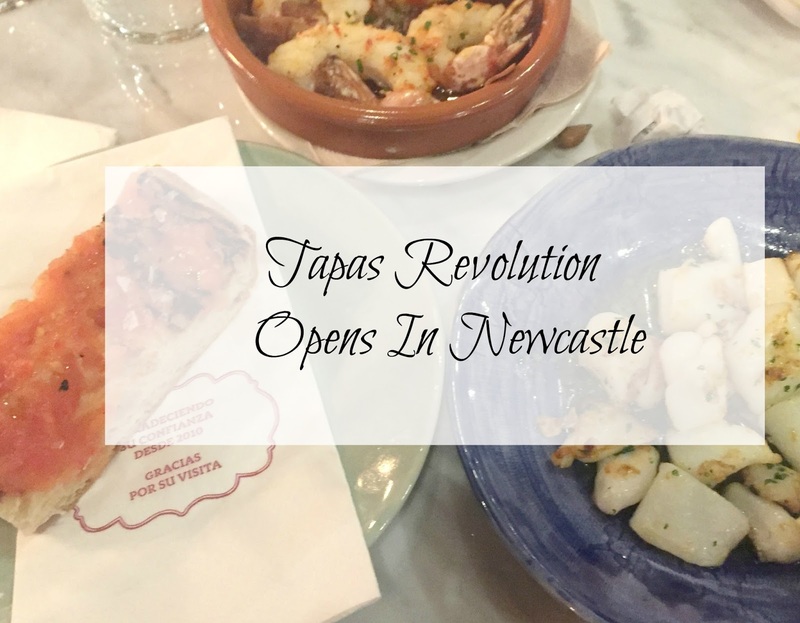 The latest one to open being Tapas Revolution which opens today (13th February 2017) and is a welcome addition to the Newcastle food scene. I was lucky enough to be invited along for a behind the scenes sneak preview last week, where I not only got to have a look around the restaurant but I also got to meet Spanish celebrity chef and founder Omar Allibhoy and take part in a Tapas masterclass he was hosting. All whilst sampling some delicious authentic Spanish cuisine and some wonderfully refreshing drinks. Located on the ground floor of Eldon Square's Greys quarter, near Greys monument you will find Tapas Revolution. As soon as I entered I was impressed with the decor, it had a very relaxed holiday vibe to it and it was an Instagrammers dream with marble table tops, bright colours and lots of decorative accessories and meats hanging on the walls. Along with the prettiest and most refreshing drinks that I have tried in a long time. Omar talked to us about how the restaurant came about - it is his sixth restaurant, with his first opening in London six years ago. 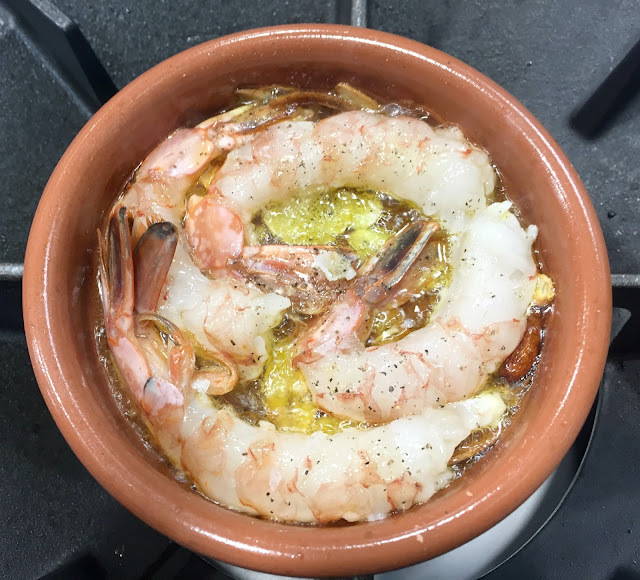 Omar has devised a menu from his own family recipes, he uses traditional Spanish ingredients in his dishes which are all freshly prepared. 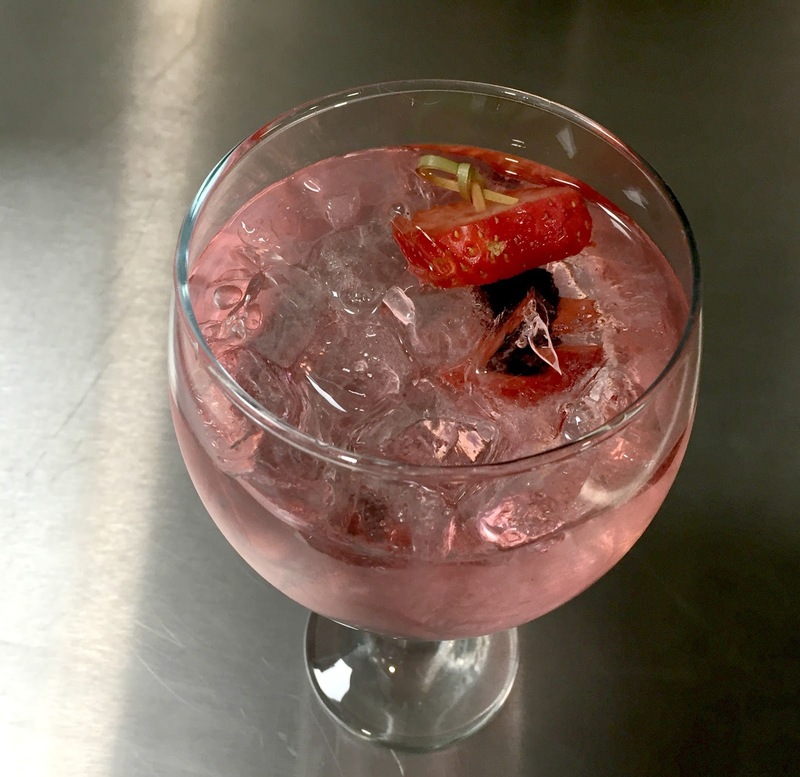 Along with an impressive drink list which includes premium Gin and Tonics (the best I have ever tasted), as well as Spanish inspired cocktails created in collaboration with the award-winning Cocktail Trading Co. 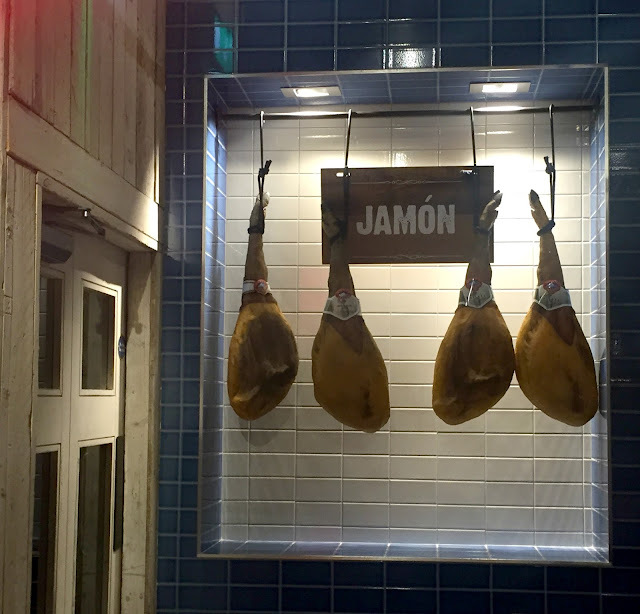 Dubbed the "Antonio Banderas" of cooking by Gordon Ramsey, Omar is on a mission to bring traditional tapas to the UK and he is certainly doing it with style. As we were there for a tapas master class we were showing into the kitchen and introduced to some traditional Spanish tapas that we would be recreating ourselves with Omar's guidance. Now anyone who knows me will know I am not the best cook and I have never set foot in a restaurant kitchen before, so I was feeling a tad apprehensive about the prospect of cooking tapas for the first time. I need not have worried though as Omar talked us through everything and it wasn't as scary as I imagined, although the Gin I was consuming may have helped. 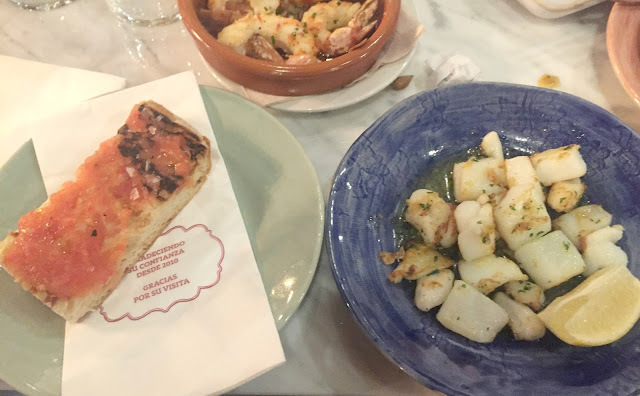 We created dishes such as Chorizo a la parilla (chorizo, with a cider reduction) Sepia a la plancha (cuttlefish) Gambas al ajillo (tiger prawns with garlic & chilli) and pan con (toasted bread with tomatoes and garlic). Every dish was explained to us detailing where the ingredients came from and why they were cooked certain ways. It is clear that Omar is very passionate about the foods that he serves and that he only wants the best for his restaurants. After cooking up a storm in the kitchen we then got to try out the tapas we had created. The Gambas a ajillo were delicious and I would certainly recommend these to anyone who is visiting. 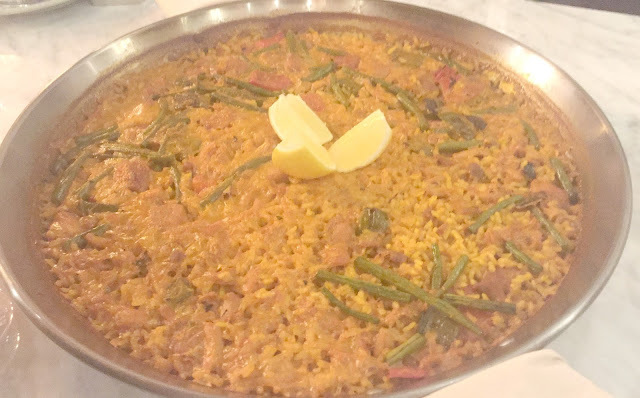 We also got to try out some Paella de Pollo (chicken paella), every dish we tried was really fresh and packed full of flavour. 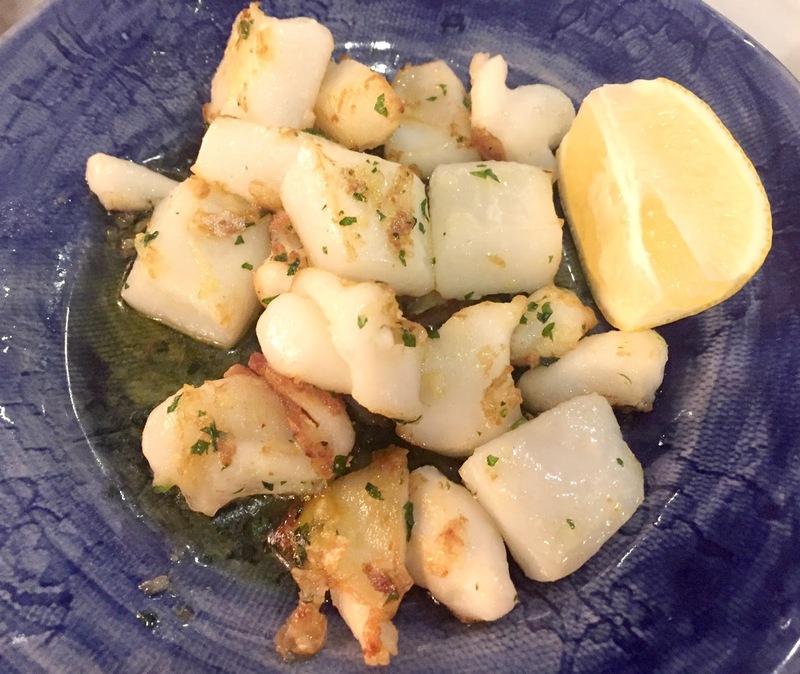 With such a great central location Tapas Revolution makes the ideal venue for a lunch with friends - they have a lunch menu for just £9.95 (served Monday to Friday 12-6), an after work drink - they have some great drink offers. It would also make a great date night venue, with special set menus for two. With great food, great drinks and friendly staff it really is somewhere that I can see myself returning too with a group of friend or my other half in the near future. Disclosure I was invited to attend Tapas Revolution for the purpose of this review, all views are my own. I keep meaning to try tapas as everytime I see photos of it (like the ones above) it looks amazing!! Sounds fantastic! How exciting to make your own dishes! Look at those prawns, though. To DIE for! Oh it looks fab - the food actually looks really decent. I can't wait to try, I have a feeling it's going to become a favourite of ours! I love tapas - it's my favourite cuisine. 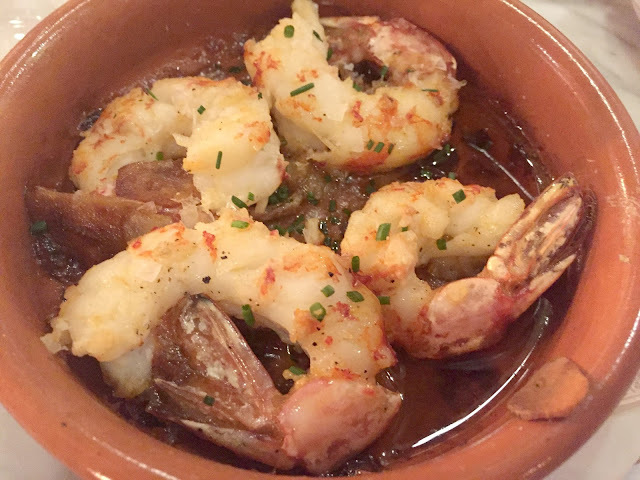 The gambas al ajillo looks delicious and i love the sound of the chorizo in cider! Oh sea food is probably the one thing I really don't like! My husband loves it though! This sounds like a fab place though! Looks amazing, I loves Tapas Food but the Paella looks so good too. It's a really reasonable price for a lunch menu. I've never had Tapas before. This looks lovely. It is great that as well as a great location, the food is good and it seems like Omar is really passionate about his craft which I like ! Tapas Revolution sounds like an amazing place to eat. Ah cool! This restuarant looks funky (love the Instagrammer's dream comment!). The tiger prawns with chilli and garlic sounds RIGHT up my street - and the gin, of course. Sounds like you had an amazing time!